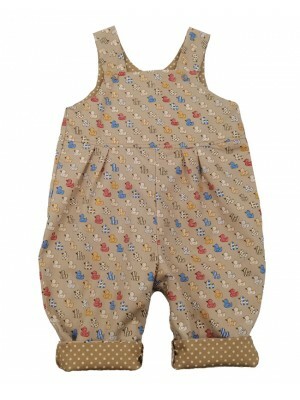 A gorgeous pair of reversible dungarees with pandas on one side and a soft cotton chambray on the other. Popper openings at the shoulders and crotch. Great with our little matching sun hat. 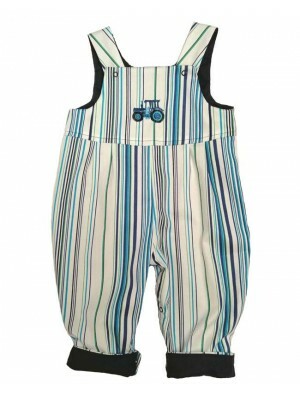 Fabric Content – 100% Cotton Garment Care – ..
A gorgeous pair of totally reversible dungarees with a blue stripe on one side and a red stripe on the other. Featuring a tractor motif on the blue side. Popper openings at the shoulder and crotch. 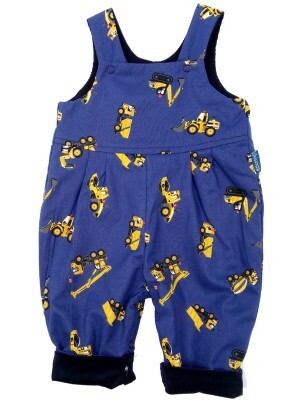 Fabric Content – 100% Cot..
A fabulous digger print on navy cotton on one side of these reversible dungarees and a soft navy needlecord on the other. Popper openings at the shoulder and crotch. 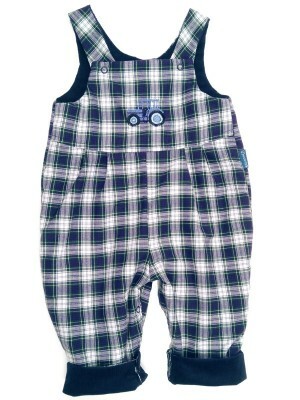 Fabric Content – 100% Cotton Garment Care – Cool machine wash ..
A smart tartan fabric on one side and a navy needlecord reverse featuring a stitched tractor motif on the yoke of the tartan side. Popper openings at the shoulder and crotch. 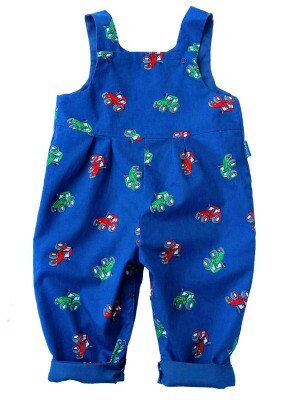 Fabric Content – Cotton / Polyester Garment Care..
A fabulous tractor print on one side and a plain navy reverse. Popper openings at the shoulder and crotch. 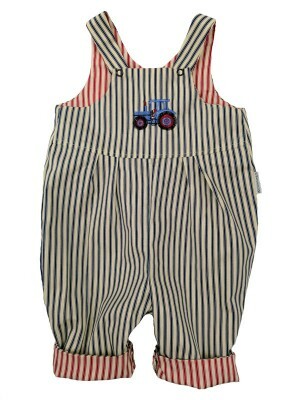 Fabric Content – 100% Cotton/Polycotton Garment Care – Cool machine wash ..
Smart Marine striped dungarees with a tractor motif on yoke and a plain navy reverse. Popper openings at the shoulder and crotch. Matches perfectly with our Marine hat. 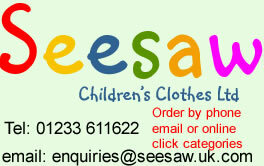 Fabric Content – 100% Cotton Stripe / Polycotton reverse Garment .. 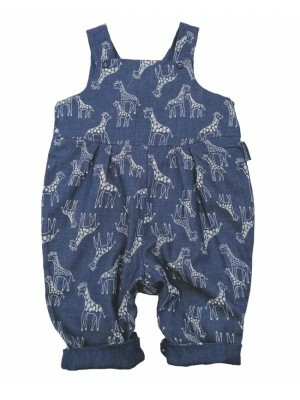 The cutest pair of reversible dungarees with a cheerful giraffe denim print on one side and a soft denim on the other. Popper openings at the shoulder and crotch. 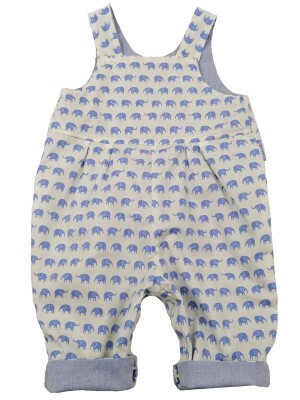 Fabric Content – 100% Cotton Garment Care – Cool machine wash ..
Beautiful fresh cotton dungarees with a cute elephant print on one side and chambray on the reverse. Popper openings at the shoulder and crotch. 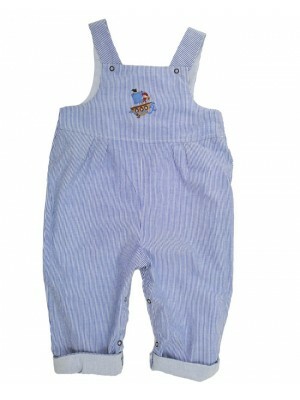 Fabric Content – 100% Cotton Garment Care – Cool machine wash ..
A lovely fresh summery pair of reversible dungarees with a fine blue stripe on one side and a pale blue chambray on the other. Featuring a pirate motif on the stripe side. Popper openings at the shoulder and crotch. 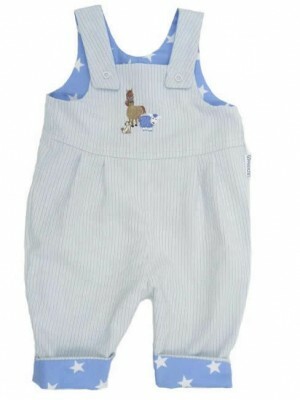 Take a..
Reversible dungarees with a soft blue stripe on one side featuring a farmyard gathering applique on the yoke and a blue star fabric on the reverse. Popper openings at the shoulder and crotch. Take a look at the matching sun hat. Fabric..